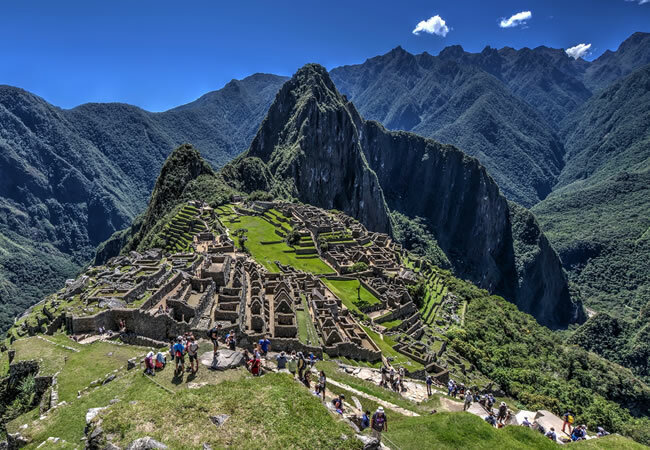 In this section, you will find all the necessary information to enjoy your visit to Machu Picchu. How to get there? Which? When? and how? Buy the ticket Machu Picchu, what to bring ?. If you do not find an answer to your question you can contact us by sending an email to info@boletomachupicchu.com or through our online chat. HOW TO GO FROM AGUAS CALIENTES TO MACHU PICCHU? IS IT NECESSARY TO HIRE THE SERVICES OF AN AGENCY TO GO TO MACHU PICCHU? IS THERE A LIMIT OF SPACES IN THE TRAIN? WHERE TO BUY THE LOCAL TRAIN? HOW MUCH LUGGAGE CAN I BRING ON THE TRAIN? IS THERE A LIMIT IN THE SALE OF MACHU PICCHU TICKET, TICKET MACHU PICCHU + HUAYNA PICCHU AND TICKET MACHU PICCHU + MOUNTAIN? WHO HANDLES THE TICKET TO MACHU PICCHU AND THE TRAIN TICKETS? WHEN I HAVE TO MAKE THE BOOKING FOR THE TICKET MACHU PICCHU? IS POSSIBLE TO VISIT MACHU PICCHU AND HUAYNA PICCHU IN THE SAME DAY? HOW CAN I BUY THE INCA TRAIL TICKET? CAN YOU ENTER TO MACHU PICCHU WITH LUGGAGE? IS EASY TO FIND GUIDES IN MACHU PICCHU? SHOULD I BRING MY DOCUMENTS? SINCE WHAT TIME IS POSSIBLE TO ENTER TO MACHU PICCHU? HOW IS THE VISIT TO INCA CITY OF MACHU PICCHU? IN WHAT TIME SHOULD DO THE VISIT TO MACHU PICCHU? IS IT DANGEROUS TO VISIT MACHU PICCHU? WHAT TIME IS BETTER THE VISIT TO MACHU PICCHU? IS EASY TO FIND ACCOMODATION? HOW TO AVOID THE ENVIRONMENTAL IMPACT ON THE INCA CITY OF MACHU PICCHU? WHAT INCLUDES THE VISIT TO SITE MUSEUM MACHU PICCHU? WHERE IS THE HOT SPRINGS OF MACHU PICCHU? HOW TO GET TO THE WATERFALLS MANDOR? To reach Machu Picchu, there are different ways such as; railroad track (trains), via land (bus), trips and / or hiking to Machu Picchu. Poroy station is approximately 30 minutes by cab from Cusco city. (You can take a cab at any time of the day, the average cost is 20 Soles). Ollantaytambo station is approximately 2 hours by bus from Cusco city. (You must take a bus from the Bus station to Ollantaytambo, departs every 30 minutes during all the day, the average cost is 15 Soles). PERU RAIL: This company has a variety of schedules and offers three types of services: Expedition, Vistadome and the Hiram Bingham, besides it has two points of departures and arrivals. You can combine points of going and of return, as well as the type of service. For example you can buy the train ticket to go from Poroy in Vistadome service and to return the train ticket to Ollantaytambo in Expedition service. We recommend to buy the train ticket to go and come back at the same time, as will be a little more economic. At the moment to buy the tickets, consider that the prices vary according the type of service, depending on the departure or arrival point and also depending on the schedules. You can also combine type of services to go and to return, for example: First Class Service to go and Tourist Service to return. We recommend to buy the train ticket to go and come back at the same time to economize on prices. The prices vary according the schedule and the type of service you choose. When you be in Aguas Calientes, you can buy in the moment, the bus ticket to the Sanctuary of Machu Picchu or if you prefer you can walk around 1 hour and 30 minutes. Take a cab to the Bus Station of Quillabamba (Cusco). Buy your ticket to Quillabamba and indicate the person who will make the sell that you have to get off the bus in Santa Maria town. From Santa Maria you should take a cab to Hidroelectrica. In case you cannot find a cab direct to Hidroelectrica, first you should take a cab from Santa Maria to Santa Teresa and then another cab from Santa Teresa to Hidroelectrica. From Hidroelectrica you have the option to take a train to the town of Aguas Calientes, but the most recommended is to walk for about 2 hours approximately by the side of the rails, because will find wonderful landscapes and you can visit the waterfalls of Mandor. Will arrive to Machu Picchu by the afternoon and you have to look for accommodation. The next day in the morning, you have to make the visit to Machu Picchu and have to be again in Hidroeléctrica around 13:00 hours, to find the buses for return (the same route to return). The average total time by bus is 6 hours from Cusco to Hidroeléctrica or from Hidroeléctrica to Cusco. If you want to avoid all this, you can buy the round trip tickets for the bus through an agency, they will indicate the points of departure of the buses. But keep in mind that the route from Hidroeléctrica to Aguas Calientes and from Aguas Calientes to Hidroeléctrica you have to make by yourself. Although this option is more economic, we do not recommend it, because the time you will have for visit Machu Picchu is very short, the trip is very heavy and is not a safe route. 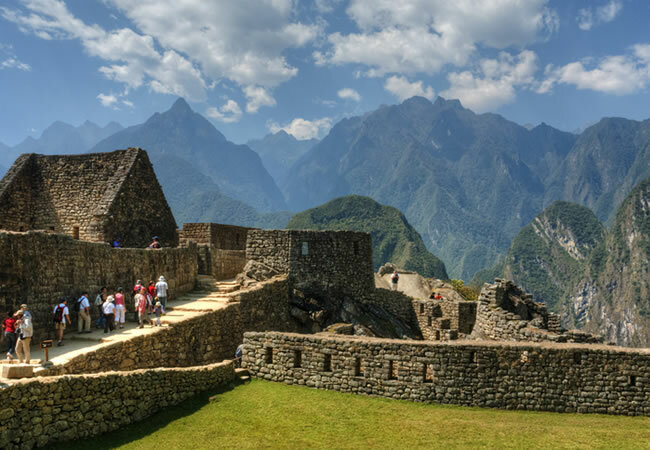 This is a good option to visit the Citadel of Machu Picchu, will find a lot of alternatives, like the traditional Inca Trail 4D/3N, or alternative routes like Salkantay 5D/4N, Inca Jungle 4D/3N, etc. In all of these treks you can enjoy beautiful landscapes , microclimates, villages and geographical accidents; will have time to go to the hot springs in the route and the last day will be specially dedicated to make the tour in the Sanctuary of Machu Picchu. The return is by train and by bus. Ollantaytambo is a necessary step to reach Machu Picchu by railroad. Usually trains to Machu Picchu depart from Ollantaytambo station; is why it is necessary to know where it is and how to get. Ollantaytambo is located 80 km northeast of the city of Cusco. To reach Ollantaytambo should take a car or bus, the journey takes on average one hour and a half. Bus Station: From Tullumayo Avenue (Cusco) departures throughout the day from 3:00 am. Car Station: From Street Pavitos and Grau Avenue (Cusco) several departures daily from 3:00 am. Aguas Calientes also called Machu Picchu Pueblo, is the place which hosts the citadel of Machu Picchu. There are two ways to get to Machu Picchu. If you like to walk and enjoy nature, there is a path with stairs properly signposted. The walk will be on average 1 hour and a half is advisable to wear sun lotion, repellent, hat brimmed, sunglasses, protective; remember that is forest brow. The other option is to go by bus, the journey will be about 30 minutes, it will leave you at the entrance to the citadel of Machu Picchu; the buses go up from 5:30 am. The Bus Tickets Aguas Calientes to Machu Picchu are managed by the company Consettur have offices in Cusco and Machu Picchu Pueblo (Aguas Calientes). Office in Cusco: Infancia Avenue N° 433. Office in Aguas Calientes: Hermanos Ayar Avenue s/n (it is a metal booth). Remember tickets are valid only for 3 days for a single use. The purchase of tickets is staff on presentation of their identity card, passport or student card. To go to Machu Picchu is not essential hire the services of an agency. If you are planning to make all by yourself, the first you have to do is to buy the train tickets and the Machu Picchu Tickets. When you have all the Tickets, take a Bus to Ollantaytambo or to Poroy, depending from which of the stations, the train departs. In case of Ollantaytambo, you must leave from Cusco 3 hours before the departure time of the train (will find buses since 3:00 hours in the morning), and in case your train leave from Poroy, you must leave from Cusco 1 hour before (you must take a cab). Having made the journey by bus and by train, you will arrive to the town of Aguas Calientes, from here you have two options: make a walk for about 1hour and 30 minutes to the Historical Sanctuary of Machu Picchu or if you prefer you can take a bus that will take 30 minutes to get to Machu Picchu. Make your visit with calm and remember, for the return, you have to be 30 minutes before the departure time in the train station of Aguas Calientes, also will find buses for return to Cusco waiting in the exit of the train stations of Poroy or of Ollantaytambo. It’s not enough with purchase your ticket to enter to Machu Picchu; it is also necessary that you demeanor, personal, current and valid documents. The ticket must be properly filled, without blobs no erasures. In case of minors, must present identification and enter with their parents or relatives. Students must present their International student card ISIC. To access to Machu Picchu, you can not be under the influence of alcohol, drugs or other substances; you can not carry firearms flammable substances or other object, that alters the order within the archaeological site. Remember canes are for disabled or elderly. And definitely, you can not smoke in the Archaeological Park of Machu Picchu. You can only scroll through marked and allowed places; otherwise, the Regional Directorate of Culture is not responsible for any accidents that may arise. Remaining in the enclosure it is from the registration of the visitor and can stay inside until 17:00 hrs. Regarding the trains, there is more variety of schedules, but these are also subject to a limit of spaces depending on the maximum capacity of the wagons. In case of the trains, in Peru Rail or in Inca Rail, we find different types of services and the cost of train has a variation depending on the schedule and the service you choose. If you know that there is a local train, must consider that the tickets only can be purchased by national tourist, the purchase is personal and with previous presentation of the Identity Card (ID). No foreign tourist can make the purchase of the local train tickets. The local train tickets are for sale in San Pedro Station of Cusco, in front of the central market. The schedule of attention is from 07:00 to 10:00 hours. The purchase must be made in advance, at least 4 days before the date of trip. People who purchase the Local Train Ticket should consider that the unique point of departure and arrival of the train is the Ollantaytambo Train Station, like 2 hours by bus from Cusco. Online through their website – www.perurail.com – payment will be made ​​by credit card or debit card (Visa or Mastercard). Address: Malecón de la Reserva 610 Plaza Centro, Miraflores, Lima (Centro Comercial Larcomar). Address: Portal de Carnes 214 Plaza de Armas, Cusco. Address: Pachacuteq Avenue s/n, District of Wanchaq, Cusco. Address: Street Cascaparo s/n, Cercado Cusco. Address: Street Rondan s/n, Poroy. Address: Ferrocarril Avenue s/n Ollantaytambo, Valle Sagrado. Address: Neighborhood Las Orquideas Aguas Calientes s/n. Address: Perez Aranibar Avenue1874 San Isidro, Lima. Address: Calle Portal de Panes 105. Plaza de Armas, Cusco. Train services whether Inca Rail or Peru Rail only allows to carry hand luggage. Maximum weight 5 kilos (11 pounds). Dimensions: 150 linear meters (length + width + height). However you can find guardianship services at stations of Ollantaytambo and Machu Picchu. This website have a chat online, if you have questions, please contact us, immediately we will answer you. Some years ago the Peruvian Government took some steps that limit the access to these tourist destinations, is detailed below. Machu Picchu Ticket: 2500 spaces per day. Ticket Machu Picchu + Huayna Picchu: 400 spaces per day, divided into two groups of 200 people each. First group: Machu Picchu + Huayna Picchu 200 spaces per day. Second group: Machu Picchu + Huayna Picchu 200 spaces per day. Ticket Machu Picchu + Mountain: 800 spaces per day. Ticket Machu Picchu + Museum: 2500 spaces per day. The Peruvian Government and the Ministry of Culture are the organisms in charge for the regulation and conditions for the entrance to Machu Picchu. All travel agencies are subject to these rules and regulations established by those organizations. The online availability of the tickets is unique for all Travel Agencies. The reservations can be made at any moment, considering the availability. But it is advisable to make them as soon as possible especially if it comes Ticket Huayna Picchu. The visit of Machu Picchu and Huayna Picchu must be done the same day, should consider the train schedules before purchase. Admission to Huayna Picchu in the first group is 07:00 to 08:00 hrs and the second group from 10:00 to 11:00 hrs. Remember that admission to Huayna Picchu lies within the citadel. The Ticket for the Inca Trail cannot be bought by the travelers, have to do it through an agency, you have to buy a complete package of Inca Trail 4D/3N, Inca Trail 3D/2N, Inca Trail 2D/1N. It means that the traveler doesn’t have the option to make the route of the original Inca Trail by him/herself. Anyway you will have to hire the services of a Travel Agency; we recommend visiting incatrailmachupicchu.org page dedicated to the Inca Trail to Machu Picchu. The entrance to Machu Picchu with a luggage more than 5 kilos is not allowed, however in the entrance door of Machu Picchu can leave your luggage and have a better visit to Machu Picchu. If you use this service you must pay an additional cost. Generally it is easy to find a guide in Machu Picchu, the price varies depending the number of people who are, to more people the cost is less. But in anyway, we recommend to be forewarned and ensure a guide service before to go to Machu Picchu. It is essential that you bring your documents. If is a foreigner must present their original passport, on the other hand if national or local must present your ID (National Document Identification), if you do not have them you will be denied entry to Machu Picchu. The entrance to the citadel of Machu Picchu is from 06:00 to 17:00 hours. The buses to Machu Picchu up from 5:30 in the morning. After you booked and acquired your Ticket to Machu Picchu, should know that have to board the train that will take you to the Sanctuary of Machu Picchu in the Ollantaytambo station, which it is a district of Cusco, located in the Sacred Valley, to 2 hours from the City of Cusco. The trip from Ollanta station to Machu Picchu, takes 1 hour and 45 minutes by bus, the train runs at a speed of 45 km / hr, you can enjoy an enigmatic landscape; in the margin of the Urubamba River, you can see the farmlands, mountains covered some vegetation, snowy peaks, abundant flora and fauna of the area, you will descend to 2,700 m. 2,160 m. in Machu Picchu Pueblo station. 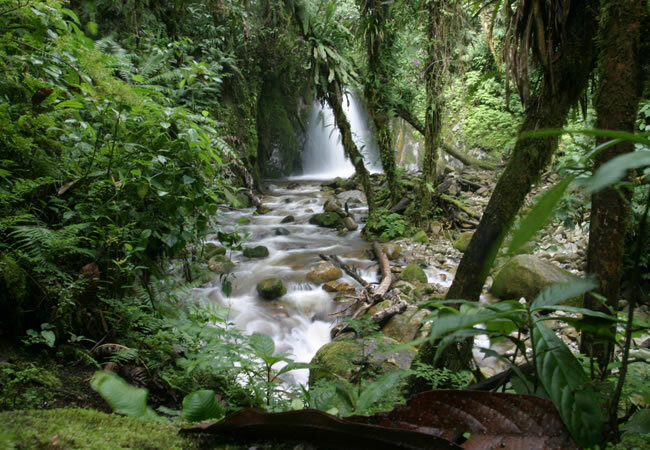 You will appreciate the change of scenery from valley and andean landscapes to jungle and rainforest areas, you will notice clearly climate change. Once you get to Machu Picchu Pueblo or "Aguas Calientes" a name given by the presence of hot springs in the area, you must take a bus, which in 20 minutes will take you to the Inca City of Machu Picchu. Once you arrive at the entrance of the enigmatic Inca City of Machu Picchu, you will be at a height of 2,430 m. it will be surrounded by green mountains, with a bright sun, depending on the time and will be wet and do not forget you are in a place, where there are 400 species of butterflies, 200 species of birds, a variety of insects, the larger animals can only be seen, if you’re lucky. We speak of a vizcacha, a deer or maybe a spectacled bear. It is important to have your ticket with your correct personal data. It is essential to carrying personal documents, without them you can not enter (this document must be the same as on the electronic ticket, also must be current). The guided walk lasts for 2-3 hours, if you do on your own, you can do it twice as long; for that reason you need to carry just what it takes, is important to know what to bring according to the season. You can not bring food. You can not enter disposable plastic bottles with water. You can not enter knives, axes, stereos, pets, cigarettes and anything that alters and contaminates the natural and cultural environment of Machu Picchu. If you have much luggage, there are lockers at the entrance, it implies an additional cost. The toilets are at the entrance of the monument. If you are in a group; You can take the services of a guide, make sure, it’s official tourism guide authorized through its credential guide. Machu Picchu is an Inca City "Llaqta", located in the middle of the mountain, is a village of the Incas, with streets, terraces, houses, temples, canals, bridges, squares, etc. The tour has marked trails, you will climb many steps, it is not a difficult hike, but demanding; stop being dangerous, if you respect the place and avoid transit through new paths. Finally, please note that the entry time to the Inca City of Machu Picchu is from 06:00 hrs. until 16:00 hrs. And can enter only 2500 visitors per day. So if you decided to schedule the visit to Machu Picchu, make your reservation now. Machu Picchu is located in the jungle, so it has a warm and humid climate and temperatures vary between 8° C and 20° C, during the months of May and October the weather is dry, with an intense and bright sun. During the months of April, November and December, the weather is partly cloudy, with a cool atmosphere and with varying temperature between 9º C and 21º C. In December already has presence of rains. In January, February and March, increases the rainfall and cloudiness, the temperature fluctuates between 21° C and 9° C, the river flow increases. Which can alter the normal operation of railways and roads. From May to October, good time to travel no rain, the sun shines, the trails are dry. Like you will change in height, it is necessary to get to Cusco to rest for several hours, take the "coca tea" that will help with possible altitude sickness, eat little because the digestion is slow. Wear comfortable clothes, it is a walk and must have good slip shoes, appropriate clothing (baggy pants, polo and wool or fleece sweater, a slight but warm jacket, sunglasses and sun protection as a hat and insect repellent). Check with your agency, guide or tourist information, about the rules of use of Machu Picchu; so that do not pass an unpleasant time, "There are things that can bring". The travel by train and the bus that will take you to Machu Picchu. They are comfortable and safe, with care on board. The trails in the same place are marked, there are many people, groups organized around the monument, also it has park guard service and security. It not required to have any special vaccine or some special treatment. Just being in good physical condition and be very attentive to all the signs. Visit the Inca City does not require a great effort; but if you go you have to visit the Huayna Picchu; it’s something else, it is a steep climb and this if you have risk. To make your trek is safe, we must respect the established route schedules and walk the marked trails. To travel to Machu Picchu, there are two private railway companies, offering different services, they are very comfortable trains, with high warranty service, care and safety on board. Once acclimated, Machu Picchu is safe to walk, forest brow climate, warm, healthy unpolluted. To prevent mosquitoes, jungle own use repellent. Machu Picchu is a tourist area, recommended by the National Geographic as one of the top 50 places in the world. For this reason it offers a tourist plant, very important exclusive for all price and categories. In the same Inca City, only one restaurant in a 5 star hotel, expensive, but very upscale. If overnight in the town, you will have all kinds of restaurants, from the most basic to the most expensive, eat at Machu Picchu is safe. Your visit to Machu Picchu will be fun and safe, thanks to the attention of the locals as well as people working in tourism, people with professional training, attentive, helpful, speak not only English but also other foreign languages can interact with confidence with (guides, police, park rangers, etc.). Use caution as any tourist or non tourist town, you must be careful with the contracting services and the people performing treatment. To make your trip be completely safe, inform yourself well, with which travel agent will undertake the trip. Ticket Machu Picchu, offers security, reliability and above all experience. The Inca City of Machu Picchu, is open from 06:00 hrs. until 16:00 hrs. and you can stay one hour more; that is, you can go out at 17:00 hrs. The visit to the monument, with a guided tour, will take you 2 to 3 hours. And if you don’t have group has all day to enjoy each space of this magical city. that you would seems the best time to visit Machu Picchu. Here we detail the advantages and disadvantages of each hour, and finally the decision is yours. If you rise early and goes earliest bound for Aguas Calientes, say between the hours of 05:07 hours, 06:10 hours or 07:05 hours, you will be arriving to Machu Picchu, between 06:34 hours, 07:40 hours and 08:27 hours, respectively; remember that the trip of Ollanta to Machu Picchu is 1 hour and a half to two hours, also do not forget to consider 30 minutes by bus from the town of Aguas Calientes to the entrance of the Inca City. You will have the morning to enjoy Machu Picchu, you will avoid, crowds of people, may take photographic views, just to the monument and not tourist groups, you will have the cool of the morning, the sun is shining; and when you reach the peak, you will already have traveled much of the monument. Si madruga y sale lo más temprano posible, con destino a aguas calientes, digamos en el horario de las 05:07 hrs, 06:10 hrs ó 07:05 hrs, estará llegando a Machu Picchu, entre las 06:34 hrs, 07:40 y 08:27 respectivamente; recuerde que, el viaje de Ollanta a Machu Picchu es de 1 hora y media a 2 horas, además no olvide considerar 30 minutos en bus desde el Pueblo de Aguas Calientes hasta la entrada de la Ciudad Inca. Usted tendrá la mañana para disfrutar de Machu Picchu, evitará, congestión de gente, podrá tomar vistas fotográficas, solo al monumento y no a grupos de turistas, tendrá el fresco de la mañana, el sol es brillante; y cuando este llegue al cenit, usted ya habrá recorrido gran parte del monumento. On the other hand, you will have a leisurely lunch and in the afternoon will have the opportunity to stroll through Aguas Calientes or Machu Picchu Pueblo. If your visit is for 1 single day you will board your train back to Ollanta, between 16:00 hours and 18:00 hours, depending on the time that you came out in the morning. You reach Ollanta between an hour and a half or two, and from there, board the bus, heading to Cusco where will arrive between 20:00 hrs. to 21:00 hrs., hours when the nightlife of the city is just beginning. Note that, the trains leave from Ollantaytambo from 05:00 hrs. until 21:00 hrs. and from Machu Picchu to Ollanta, out from 08:53 hrs. until 21:50 hrs., and the travel time varies according to the schedule. If you quit, mid-morning, say between 09:00 hrs to 13:00 hrs. you get to Machu Picchu between 10:30 hrs and 14:30 hrs., obviously depending on the time that you boarding, you will reach the bus station where it will take half an hour to reach the Inca City. At this time, there are groups of tourists, and more people, so you have to make probably queues for buses. According to your operator, some groups have lunch before the visit. If it is true, at that time, and is being withdrawn, the group who rose early, you’ll have more company in his travels, this time will have to wait their turn in some places to take pictures. At noon, we know that the sun is strongest, of course depending on the time, so for this time you will have already had lunched, or taken some snack and will make the journey in the afternoon. Among the bus, snack, and the visit to Machu Picchu, approximately, you will be returning at 17:30 hrs. to the station, you will reach to Ollanta at 19:44 hrs. and from there to Cusco a couple of hours. However, you can choose to spend the night in Aguas Calientes, where you will find variety of hotels and restaurants. If you have more time, you can get to spend the night in Aguas Calientes and visit Machu Picchu early. For people, who want to climb Huayna Picchu, this is very convenient. 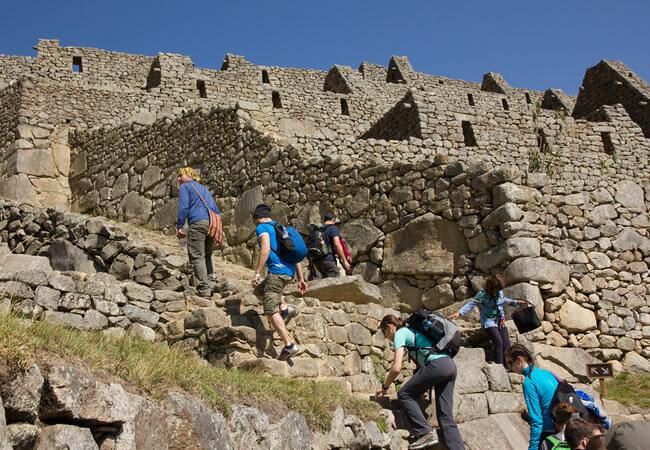 First climb to the Huayna Picchu Mountain, then calmly make the trip to the Inca City of Machu Picchu. Another alternative is to go early to Ollantaytambo, visit the village and the Inca temple, spend the night in the town of Ollanta and climb in the next day early hours. According to the above you may notice that there are many alternatives; therefore, plan your trip according to your comfort and preferences; make reservations with time, ¡you have the decision! If you don’t have already accommodation booking, don’t worry because in Cusco city, in the Sacred Valley and in Aguas Calientes there is a variety of accommodations in different categories, surely in some of them you will find spaces. Otherwise, contact us for give you some recommendations. The willingness to collaborate, to avoid environmental impact involves understanding that Historical Sanctuary of Machu Picchu, located in the Department of Cusco, it is an important place known internationally for its Cultural and Natural Heritage. Machu Picchu receives a large number of visitors and although there is a limit spaces of 2,500 per day, can not prevent that the monument feel the weight the weight of the passage of so many visitors. Generate the least amount of waste possible, since the organization of your trip, so you will be protecting your health and that of your companions. Carry, always a small bag to put all the garbage generated during the ride. In the city of Machu Picchu, it is collected daily a ton of garbage. Get back with you small residues (paper, fruit peels, disposable bottles, etc.). Use canteen or bottles metal for water. Avoid leaving any residue of food on the floor; alters feeding wildlife. The stone walls, suffers a strong impact, slow and gradual; don’t touch, don’t climb the walls, don’t lean and don’t paint them. Don’t tear flowers, leaves, fruits. Walk by permitted and marked trails. Don’t step moss, grass or flowers. Don’t carry, archaeological material (pottery shards, bones, small stones, etc.). Remember that all the time will be accompanied by birds, butterflies, etc. Don’t make noises, please, because it alters the behavior of wildlife. If you are lucky enough to see some animal close, don’t bother, chase or want to touch it, besides you can get hurt; they will disturb. Just watch them, will be a real treat for your visit. With these suggestions, which are a few of many, that you should already handle; we are working to preserve the Historic Sanctuary of Machu Picchu, and we will be conducting responsible tourism, working little by little,with the environmental impact, which is generated with our visit to the enigmatic and magical Machu Picchu. The safety of tourists is in charge of the POLTUR, Tourism Police, displacing its troops in different parts of Machu Picchu. Their mission, protecting the environment, ensure safety, ensure the safety of tourists and their property ensuring the safety and protection on the main points of the tourist attraction in Machu Picchu. Monitoring is opportune, controlling is made good use of the Heritage Historical, Cultural, Natural and Tourist of Machu Picchu. It also provides assistance and tourist information, with quite professionalism, commitment and seriousness. In parallel, there is the work of park rangers of SERNANP; who are properly uniformed; and they are responsible for surveillance and monitoring of impacts that produced the tourism activity, its functions are regulated by law and are aimed at conserving and preserving the Natural and Cultural Heritage of the Historic Sanctuary of Machu Picchu, they perform patrolling, controlling, monitoring, guidance and information to visitors. who collaborate with environmental control and visitors. It is worth mentioning that in the Town of Machu Picchu, there are strategies and tools for public safety of local people and visitors, which is in charge of the District Municipality of Machu Picchu. Finally, we note that the main allied to all this safety equipment, are the security cameras installed in key points of the control of the Inca City, that can record any anomaly that may arise; the responsible for monitoring the cameras, before any irregularity, they reports to the guards as they are interconnected with radios, those involved in the act. Pay attention to your hand luggage at Machu Picchu, you will walk a lot, you will change of means of transport, several times; so you should avoid carrying a lot of things. A backpack attack and / or small briefcase where which can carry a hat, sunscreen, sunglasses, water bottle and a jacket; it’s enough. Kangaroos that attach to your belt are highly recommended for your documents. Remember, you can not bring food to the Inca city of Machu Picchu. We would appreciate respect this rule, to avoid environmental impact on the site. They will review the backpacks to enter and there are security cameras, even if you are discreet; they will identify you, avoid a hard time. Bring a water bottle, disposable bottles are not allowed. Do not forget your current personal documents, they must be the same with those which bought their entrance to Machu Picchu. Without personal documents you can not enter. If you are student do not forget your student card ISIC. Wear suitable shoes, non-slip boots, the trails vary from land to stone permanently rise and fall. Bring cash for small purchases, although it is true there are cashiers; but is more widespread trade with cash, you can pay with dollars, in some places, but better the Peruvian currency (Soles); make sure they are in good condition, in Peru it has enough emphasis and care that tickets are whole, clean and free from damage, especially that are not broken. Apart from the use of sunscreen, insect repellent is also advisable, you will be in jungle and there are many insects. The toilet, the wardrobe and the health center are in the entrance to the site, take the necessary precautions. As with any attractive, prices of things at the entrance of Machu Picchu are more expensive. Any purchase better do it in Cusco. Any inconvenience let know to the security personnel of Machu Picchu, they are connected by radio, with a central that will treat you in as soon as possible. The Museum Site of Machu Picchu, takes us through his story to the 60s and 70s, thanks to the initiative and efforts of Dr. Manuel Chavez Ballon, then a resident of works from the museum and park Machu Picchu. After a long period of hard work, professional, technical, administrative, throughout this previous time, on 25 July 2005, opens the current Museum of Machu Picchu and in honor of its first founder is called Museum Site Manuel Chavez Ballon. Today the site museum, welcomes tourists, local, foreign and domestic, promoting cultural visit to the museum, where dynamically displayed in each room the archaeological collections, they are the result of work archaeological research, conducted in various years within the Historic Sanctuary of Machu Picchu. The visit to the museum, this aptly complemented with a visit to the Botanical Garden, which is intertwined with the nature of spontaneous and dynamic, a relaxing stroll enjoying the birdsong and the sound produced by the Urubamba river, this walk continues delighting our senses with the scent of the varied vegetation, which highlight the colorful flowers of various shapes and sizes. Opening hours: Monday to Sunday from 09:00 – 17:00 hrs. Rates: Adults S/. 22.00 / Students: S/. 11.00 / Children: Free. The Hot Springs of Machu Picchu is located at the end of Avenida Pachacuteq about 15 minutes from the Plaza de Armas of Machu Picchu Pueblo. The hot springs are at a distance of 800 meters east of the town of Machu Picchu, the water gushes out of the rocks at different temperatures. The average water temperatures are between 38 º C and 46 º C.
These waters today are exploited for tourist use, with the construction of swimming pools. These hot springs have different healing properties; such as treatment for rheumatism, antistress therapy, eliminate toxins, prevent blood pressure and improve metabolism. Opening hours: Monday to Sunday from 05:00 – 20:00 hrs. Rates: Foreign S/. 10.00 / National: S/. 7.00 / Children: S/. 7.00. Machu Picchu and its surroundings are full of mystery, its geographical location has different ecological formations with sinuous shapes. Among them Mandor Waterfalls are located 4 km from the village of Machu Picchu. It is a water fall about 30 meters high, formed by a glacial river, crystal clear, on the right bank of the river Urubamba is in the middle of dense vegetation that is habitat of species of orchid and the spectacled bear . The area to which it belongs is privately owned, on your visit you can see the facilities it was a center of tea production. It is accessed by a scenic route from the railway line leading from Aguas Calientes to Hydroelectric. As is privately owned entry fee is S /. In October. Walking: Start from Machu Picchu Pueblo by the road to the Municipal Camp, then turn right and continue walking along the railway line the route Aguas Calientes – Hydro until Whereabouts Mandor (114.5 Km.). 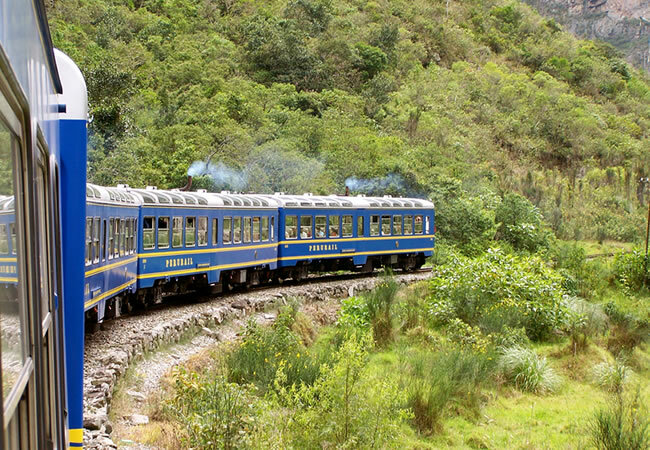 By Train: Take the a local train from Aguas Calientes to Hydroelectric and get off at the Whereabouts Mandor (114.5 Km.). Train Timetable: Departure: 07:00 am Return 8:45 a.m.; Departure 1:15 pm Return: 07:15 p.m.